Perivascular adipose tissue (PVAT) surrounds the arterial adventitia and plays an important role in vascular homeostasis. PVAT expands in obesity, and inflamed PVAT can locally promote endothelial dysfunction and atherosclerosis. Here, using adipose tissue transplantation, we tested the hypothesis that expansion of PVAT can also remotely exacerbate vascular disease. 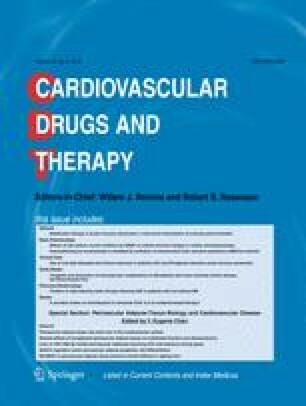 Fifty milligrams of abdominal aortic PVAT was isolated from high-fat diet (HFD)-fed wild-type mice and transplanted onto the abdominal aorta of lean LDL receptor knockout mice. Subcutaneous and visceral adipose tissues were used as controls. After HFD feeding for 10 weeks, body weight, glucose/insulin sensitivity, and lipid levels were measured. Adipocytokine gene expression was assessed in the transplanted adipose tissues, and the thoracic aorta was harvested to quantify atherosclerotic lesions by Oil-Red O staining and to assess vasorelaxation by wire myography. PVAT transplantation did not influence body weight, fat composition, lipid levels, or glucose/insulin sensitivity. However, as compared with controls, transplantation of PVAT onto the abdominal aorta increased thoracic aortic atherosclerosis. Furthermore, PVAT transplantation onto the abdominal aorta inhibited endothelium-dependent relaxation in the thoracic aorta. MCP-1 and TNF-α expression was elevated, while adiponectin expression was reduced, in the transplanted PVAT tissue, suggesting augmented inflammation as a potential mechanism for the remote vascular effects of transplanted PVAT. These data suggest that PVAT expansion and inflammation in obesity can remotely induce endothelial dysfunction and augment atherosclerosis. Identifying the underlying mechanisms may lead to novel approaches for risk assessment and treatment of obesity-related vascular disease. The online version of this article ( https://doi.org/10.1007/s10557-018-6821-y) contains supplementary material, which is available to authorized users. This study was funded by grants HL124097, HL126949, HL134354, and AR070029 from the National Institutes of Health (N.L.W). All applicable international, national, and/or institutional guidelines for the care and use of animals were followed. This article does not contain any studies with human participants.